Everyone has artistic potential, but in order to make that potential come to life, you need the right tools. 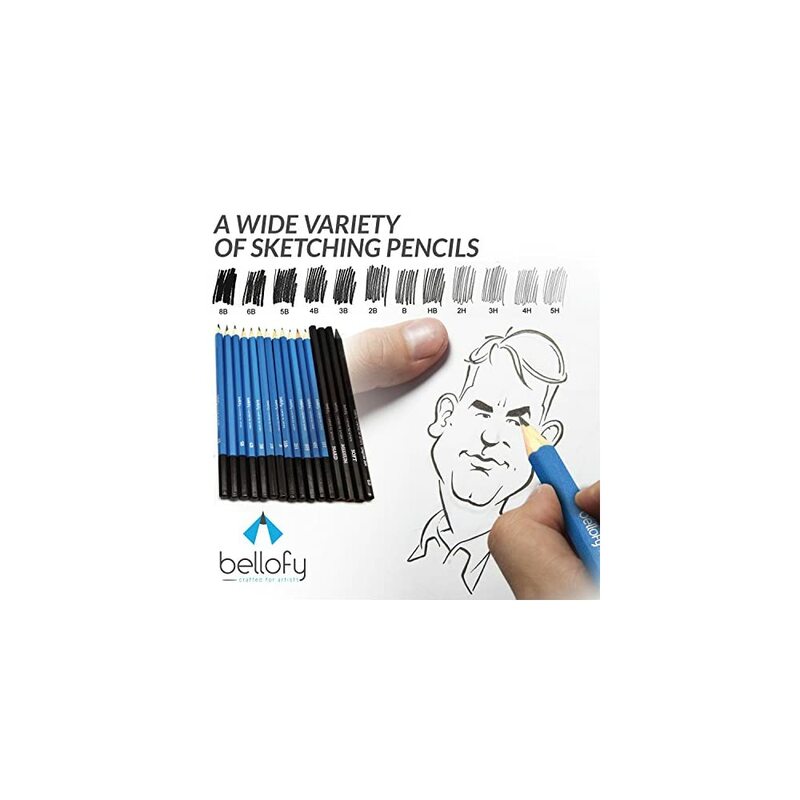 No one knows this better than Bellofy – we’re artists, too, and we’ve designed these sketching supplies with artists of all levels of experience in mind. 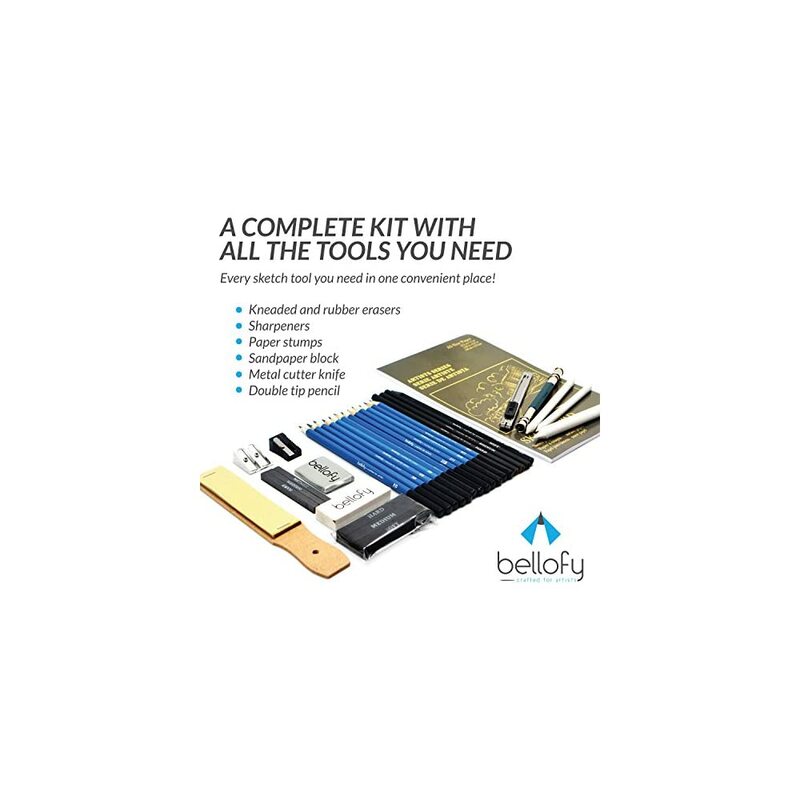 Bellofy’s elite sketch kit blends comfort, quality, and durability so that you can achieve expert-level shadowing and shading with reliable, long-lasting tools. 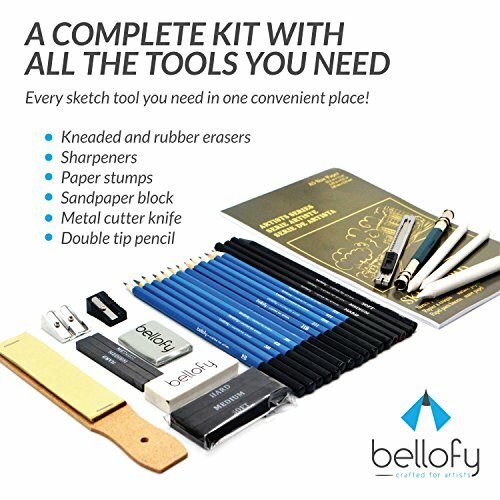 When you purchase Bellofy sketching supplies, you receive tools that are designed to let you draw all of your artistic visions into creation. 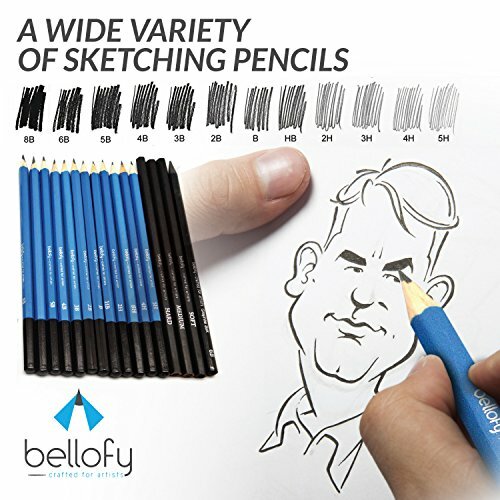 – A SKETCHPAD so that you don’t have to wait to create your next masterpiece – start sketching right away! 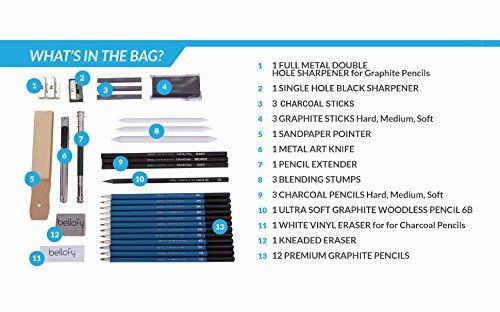 Click “Add to Cart” now to order this kit for yourself or as a gift for your favorite artist! 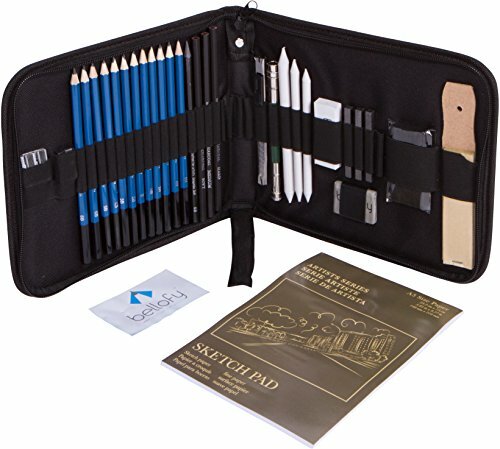 I bought this for my daughter who loves to draw, This seems to be great at keeping all your sketching supplied organized in one place. The case is well made and convenient. As well there is plenty of room to add your own items and customize for your own needs. Great price for a great item.